Only a quick post today, as I’ve had one manic day! I’ve been busy today with blenders, fruit and pretty storage glasses. Now that the weather is improving, my smoother blender will be getting a bit more exercise (so should I, but that will wait!). I’ve missed having a cold smoothie or fruit drink in the morning…it never seems right in the winter. Having said that though, the drink I made today would be lovely warmed up for winter evenings. A lovely fresh drink! Fresh raspberries, blueberry juice, cinnamon and mint. 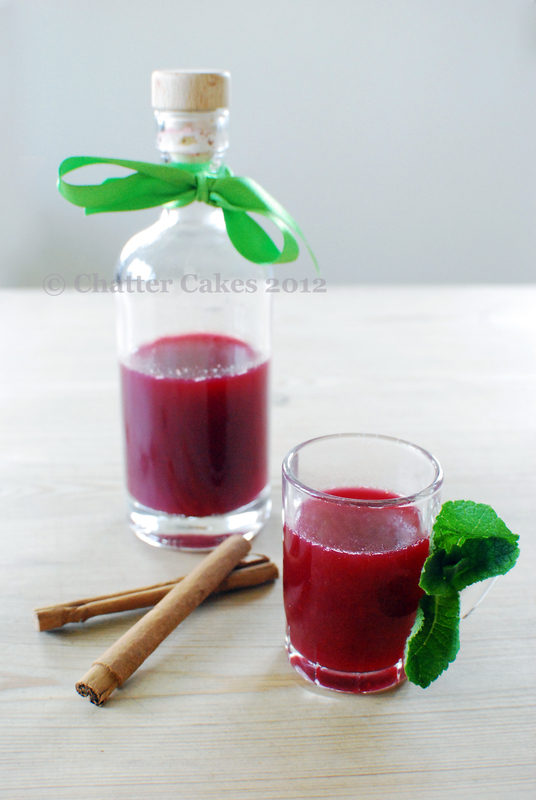 I infused a sugar-syrup (half water, half sugar) with the cinnamon and mint, then cooked the raspberries in the syrup. Then I strained the mixture to get rid of the pips, and added the blueberry juice and a dash of lemon to the raspberry mixture. Random fact that I learnt today: there are over 200 different known species of raspberries but only 2 species are grown on a large scale. Amazing!! I got to this point, and after gulping some down – I decided to make a treat for my mum, who I know has been even more busy than me. I know at the end of each day she enjoys having a lemonade/sparkling water-esque drink, so I decided on making some unique ice cubes for her drink. This idea is from ‘The Vintage Tea Party Book’ by Angel Adoree. Delicious! Particularly at the point where the ice cube melts, and it becomes a mini-smoothie at the bottom of your glass. Loving the new blog! 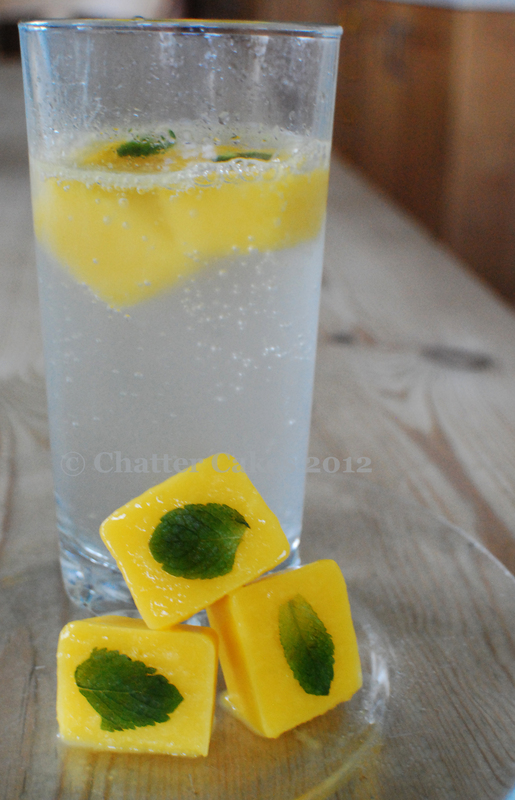 Like the look of the mango and mint ice cubes! Be blessed in your work!